Selected as Party of the Day on June 18th! 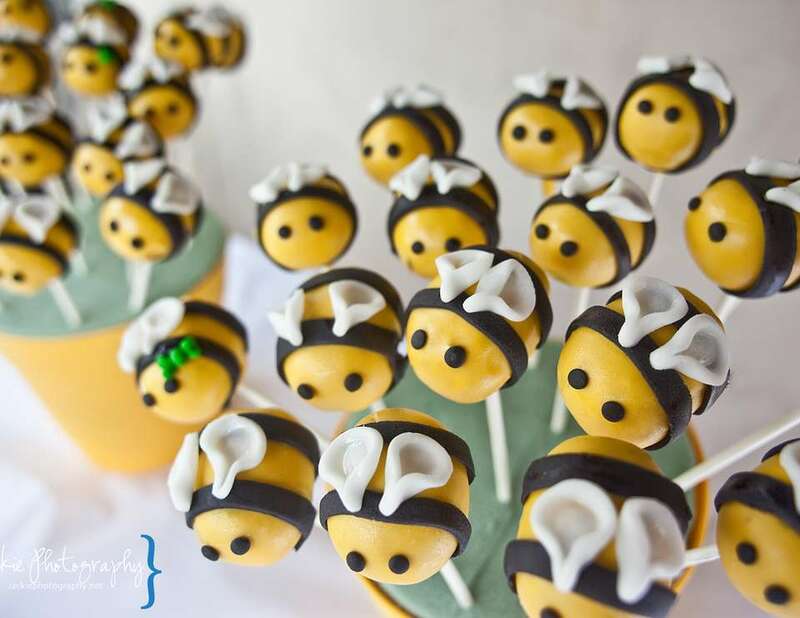 She's starting a small business for these cake pops so message her on facebook if interested! These not only looked so cute they tasted really good too! 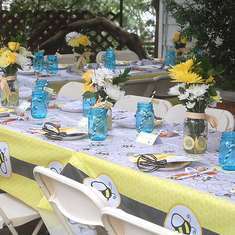 I’m no expert party planner and I have not planned many parties before, but I sure do LOVE it. Recently my co-worker/friend allowed me to help her organize the games for her sister’s baby shower. I was so excited, since I LOVE games and believe that games or some kind of activity at parties is what makes parties…well parties! We started off gathering some ideas since I was also helping her not only with the games but to come up with some ideas for the centerpieces. I started this pinterest board for us to gather our ideas. The party consisted of a couple of games. We found this lottery tickets at Oriental Trading. Guests divide into groups of 2. Pick one person to be the baby and one to be the parent. The point of the game is to feed the baby as quickly as possible, racing against the other teams. To make things interested, the baby puts on a bib and the mom puts on a blindfold and takes the spoon to feed the “baby” with their opposite hand. Gather a ball of yarn and scissors. Pass the yarn around the room and have each guest cut off the amount she/he thinks it would take to equal the circumference of the mother-to-be's belly. At the end, each guest wraps his/her string around the pregnant belly, and the closest size wins. 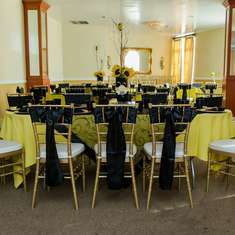 Hope you have a great time planning your next party!! 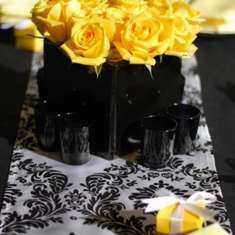 1-	Stay consistent & true to your theme throughout the party! 2-	Pay attention to details! There was salad, pasta, rice, chicken, and many other great dishes available buffet style for guests to choose from. There were alcoholic and non alcoholic drinks available. The sangria was really good! 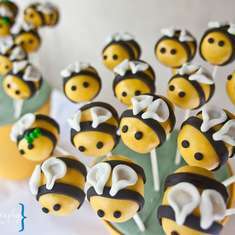 Where can I find the bee paper? hey i made them! if you have photoshop i can send you the files :P I just used the postcards from avery from staples :) Printed them on it and bam done! thanks! i made it ;) makes me proud to know it came out so nice and i did it so fast! Where can I get these favors?